(FASTNEWS|COLOMBO) – The United States (US) – North Korea talks, scheduled to be held in Hanoi, Vietnam, is expected to provide an important turning point for economic and security on the Korean Peninsula. As the dialogue channels on the inter-Korean issue have been expanded since 2018, the issue of peace and reunification has become global attention and a major agenda of Korean society. 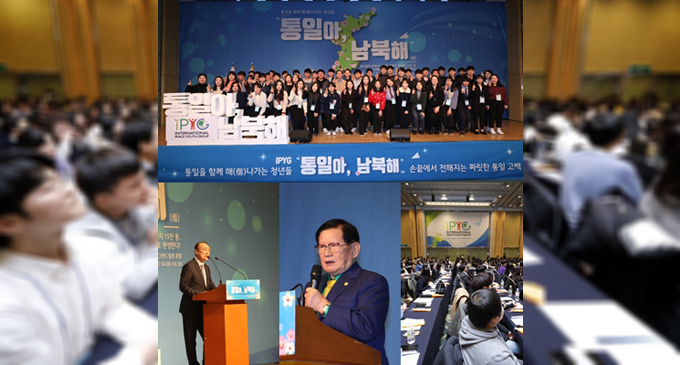 In search of the role of civil society to create a unified Korea with peaceful means, an inauguration of the with the aim of raising the awareness of peace to Korean youths was held with 1,000 participants at the Grand Hilton Hotel in Seoul, South Korea on Saturday (09). is a youth-led campaign where the youth gather to advance ideas into practical action plans, and further nationwide reunification movement by collaborating with the civil societies. Starting with the inauguration ceremony on 09 February, it will be continued for 4-weeks with 3.1 commemorative events and the reunification campaign across the country.